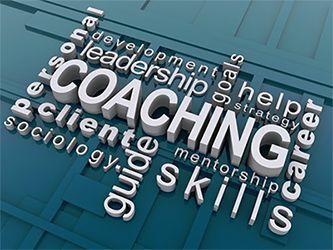 A survey of 100 executives who used business coaching in their organizations reported between a $100,000 to one million return on investment according to an article in the Manchester Review"Maximizing the Impact of Executive Coaching: Behavioural Change, Organization Outcomes, and Return On Investment"
Why would you seek a coach? Are you dealing with a lot of change? Would you like the transition to be easier, the results better while feeling that you are seeing a return on your investment? Have you ever moved confidently towards your goal - just to have the rules of the game change? Have you ever felt frozen in your tracks, not sure where to go next? Would you like to inspire your team to move through change to great results? Are you in a senior position and feel that you need an objective sounding board? Have you ever felt that you have more potential than you are currently manifesting? Do you need an experienced executive coach to help you feel inspired and passionate about your life or work? Would you agree that the hardest part about leadership is leading yourself? Do you have your eye on the goal and a focus on what your direct reports need from you? Are you able to anticipate and plan with a clear strategy in mind? Would you like to gain more clarity on a complex situation in order to have more confidence to move forward? Would you like to talk to a seasoned professional who sees your strengths and helps you to be the leader you can be?